From 2018 HMRC’s Making Tax Digital plan to make the tax system increasingly digital and will require most businesses, the self-employed and landlords to use software or apps to keep their business records and electronically send updates to HMRC. Businesses that currently keep their accounting records on paper or in spreadsheets will be expected to move to digital software or apps and HMRC plan to make free products available. HMRC is looking at whether financial support from the government will be introduced along with online training sessions. An update will be sent to HMRC quarterly directly from the software or app and will give the taxpayer an idea of their likely tax bill. At the end of the year it may be necessary to review the previous quarterly updates and add any necessary accounting or tax adjustments, therefore the final declaration for the year will likely be nine months after the end of the accounting period. It is currently proposed that all unincorporated businesses and landlords with sales/gross rents less than £10,000 will be exempt from the new rules. Although HMRC do not intend to alter the current tax payment dates, it will be possible for taxpayers to make voluntary payments throughout the year towards their tax bill. It is intended that the taxpayer will be able to decide the frequency and amounts of these voluntary payments. 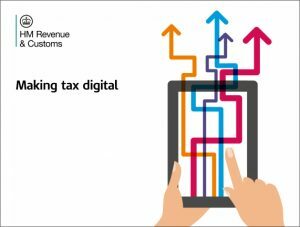 As part of Making Tax Digital, HMRC will be reviewing penalties for the different taxes and propose to introduce a penalty points system, where a penalty would only be charged where a certain points level is reached. HMRC are only at the consultation stage and therefore we will bring you updates as they are released.